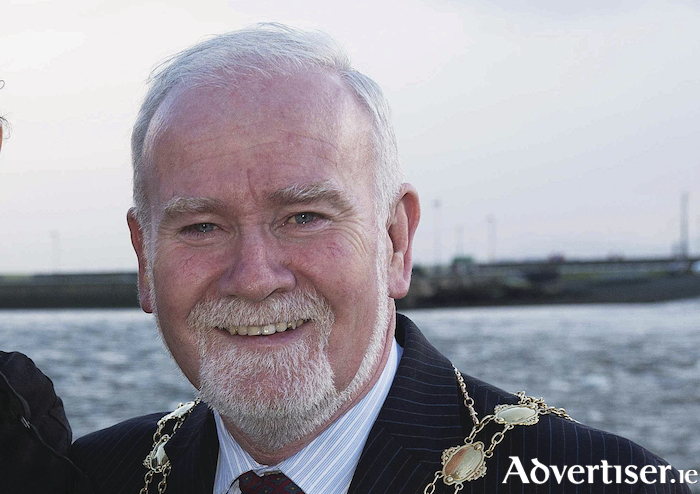 Independent city councillor Donal Lyons. Amenity lands stretching from Blackrock to Rusheen Bay are in danger of being lost to the public, as they are gradually bought up by a development consortium, according to a local councillor who said he would "vehemently oppose any future change in the zoning of these lands". Independent city councillor Donal Lyons has this week outlined his "serious concerns" regarding the future of the amenity zoned lands, saying these are "very special areas of conservation from an environment point", adding, "because of its special status and ecology, need to be protected for future generations of Galwegians". It is believed this same development consortium has purchased the derelict cottage at Blackrock and that this has been added to a land portfolio which also includes the former Spinnaker Hotel premises. It is further understood the vacant driving range adjacent to the Spinnaker Hotel has also been added to a building portfolio being put together by the same development consortium, which is also believed to be interested in purchasing the Rusheen Windsurfing Centre. Concerns over the future of this entire stretch of land overlooking Galway Bay have been heightened by the fact the Rusheen Bay windsurfing and water sports school is being auctioned tomorrow for an asking price of €200,000. "This facility has been in operation for decades and has provided an excellent water sports facility for locals and the youth from Knocknacarra, Salthill, and the greater city area," said Cllr Lyons. Cllr Lyons says these parcels of land result in "a considerable amount of amenity land being purchased". While under the present Galway City Development Plan there is very limited scope for the development of amenity land, Cllr Lyons is concerned that the amenity zoning of this area could be changed to commercial and/or residential. "Why would a development consortium be interested in purchasing amenity zoned lands unless they have plans to try to have the amenity zoning changed in future city development plans?" he asked. Cllr Lyons said the land zoning on this area "should be maintained" and that he would "vehemently oppose any future change in the zoning of these lands". He said: "This is a very special area and needs to be preserved. I will be seeking the support of my colleagues on the city council to have the present amenity zoning maintained." Page generated in 0.1798 seconds.